CONTINENTS (by population) 2006 est. Is InterOil a great way to play Asia’s commodity boom or a overhyped company worth a fraction of its $3.4 billion market value? In recent weeks, the debate has escalated over InterOil, a publicly traded exploration outfit drilling for natural gas in Papua New Guinea. 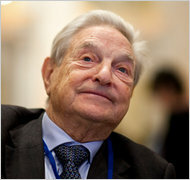 George Soros loves InterOil. The billionaire hedge fund king’s Soros Fund Management, which manages more than $20 billion, disclosed in a securities filing this month that it had nearly doubled its stake in InterOil. He owns about 5.3 million shares, or about 12 percent of the company. At $300 million, his InterOil stake is the third-largest stock holding in his fund, according to the filing with the Securities and Exchange Commission. A spokesman for Soros Fund Management declined to comment on the position. According to securities filings, he began buying the stock in early 2009 at around $33 a share. On Wednesday, InterOil’s shares were trading above $76. Mr. Tilson’s recent tirade came just after InterOil raised $266 million in its first publicly underwritten offering, a deal backed by, among others, Morgan Stanley. He acknowledges that with the capital increase, the short case on Interoil becomes less compelling. InterOil, which has been burning through cash, now has money to finance its capital-intensive exploration business. 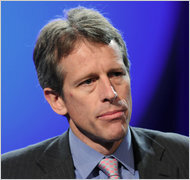 Although his hedge funds run only $155 million, Mr.Tilson has carved out a prominent place in the world of stock pickers. A Warren E. Buffett acolyte, Mr. Tilson writes for publications including The Financial Times and runs the Value Investing Congress, a well-attended event where big investors including William A. Ackman of Pershing Square Capital Management and David Einhorn of Greenlight Capital Management show up to discuss their best ideas. InterOil reported a third-quarter loss this week of $14.4 million on sales of $208.5 million, generated largely through an oil refinery business. “Our efforts to monetize our discovered resources have advanced significantly over the past several months,” said Phil Mulacek, the company’s chief executive, in a statement. A Morgan Stanley analyst raised its earnings estimates on InterOil on Tuesday, saying it was bullish on the stock with an overweight rating and a $135 a share price target.